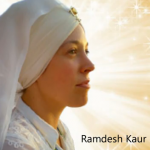 Live on the Blog: Global Kirtan Kriya tonight with Ramdesh Kaur! 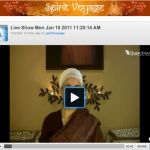 Tonight on the blog I will lead us in a global Kirtan Kriya. At 6pm EST (New York), join yogis from all over the world for 31 minutes of Kirtan Kriya! 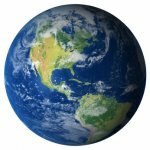 Check your local time zone to find out when you can participate! Great about the Alzheimer’s page, woohoo! Meditation does indeed increase brain flow to the brain, and the 12-minute Kirtan Kriya singing meditation has actually been proven to improve memory function in individuals with proven memory loss. These studies were sponsored by the Alzheimer’s Research and Prevention Foundation and more information is available online at http://www.alzheimersprevention.org/research. Thank you! This was really relaxing! Please continue to be proud of the voice that you have been given. It is beautiful because it is from the heart and it is a gift that’s worth using. 🙂 Thank you once again! Thank you for the live meditation! Haha! You caught the yawning! You are very right, my adrenals settle down when I meditate and I have a tendency to yawn. Blessings!